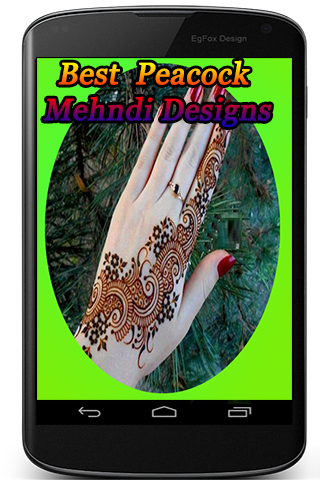 Mehandi designs often feature tribal outlines of animal figures. Peacock is the most beautiful of all Indian birds. Its beauty is attributed mainly to its blue-green feathers. Peacock is a symbol of grace and elegance and is thus an important part of many Indian art designs. It is used excessively in mehandi designs. Different cultures and styles portray the peacock in different manners and the peacock manages to look breath taking in all of them. 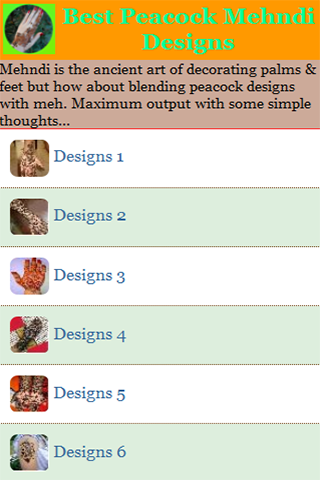 The peacock designs include other supplementary shapes and patterns too. However the major focus is generally always the peacock itself. 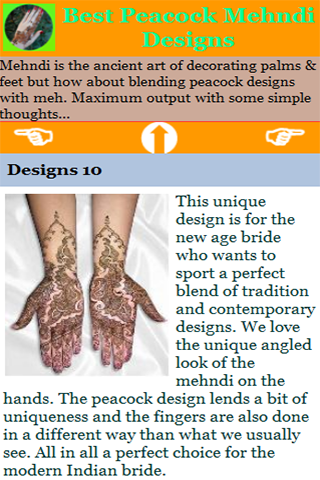 Here are the best peacock mehandi designs for you to choose from.